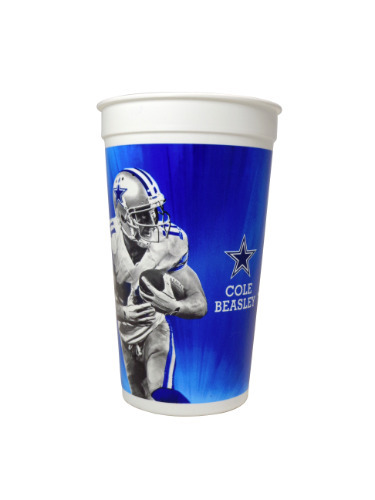 2017 7-11 Dallas Cowboys Cole Beasley Collector Cup for the 2017 - 2018 season. Each cup is in near mint to excellent condition. The cup holds approximately 30oz. Cole is one of 6 individual player cups in the set. The 7th cup will feature images of all 6 players. So 7 cups in total for the complete set.